All natural, grass and corn fed beef, pork, and poultry. No antibiotics. No growth hormones. Ever. Every day people are consuming toxins by simply eating foods that are suppose to nourish the body. These toxins contribute to cancers, autoimmune disorders, inflammatory diseases and several other health conditions. On a more upbeat note, there is away to help keep your body health and properly nourished and that is by eating organic all natural foods free from pesticides, growth hormones, gardening chemicals, preservatives and anything artificial. Where do I find organic all natural foods? Some of the best places to find organic all natural foods are local farms, like Dostall Farms, and organic whole food grocery stores. Sometimes visiting local farmer’s markets can also provide you with the best whole all natural foods you could possibly find. Even your local grocery store will have an organic whole and natural foods section you can shop from, but be careful about purchasing products that simply say organic and natural foods but are not. The way you do this is by reading each food label properly. Usually the fewer ingredients on the label that you can pronounce and understand means the food you are purchasing are truly organic and natural foods. 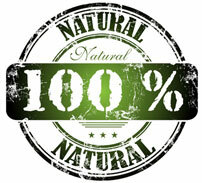 What are some of the best all natural foods to purchase and eat? What are some of the best ways to provide all natural foods to my family? Growing gardens each year in your yard can provide your family with the best and freshest natural produce possibly. Even raising hens for eggs, and free-range cattle and swine for meats can help. To some of you this may sound like a lot of work, but the end-result is fresher high quality food and less time in the doctor’s office because your body is actually staying healthier since it is actually receiving beneficial nutrients that actually nourish the body. Choosing natural foods should be apart of your lifestyle. Natural foods are the only ways to nourish the body and prolong your life so you can live happily and healthily.